Multifunctional Spray Gun Plus 26452690 https://www.kaercher.com/ie/home-garden/watering-systems/nozzles-and-spray-lances/multifunctional-spray-gun-plus-26452690.html Multifunctional Spray Gun Plus with soft grip components and unique rotating handle for push and pull operation. 4 spray patterns and water flow regulation. Works with all other brands. 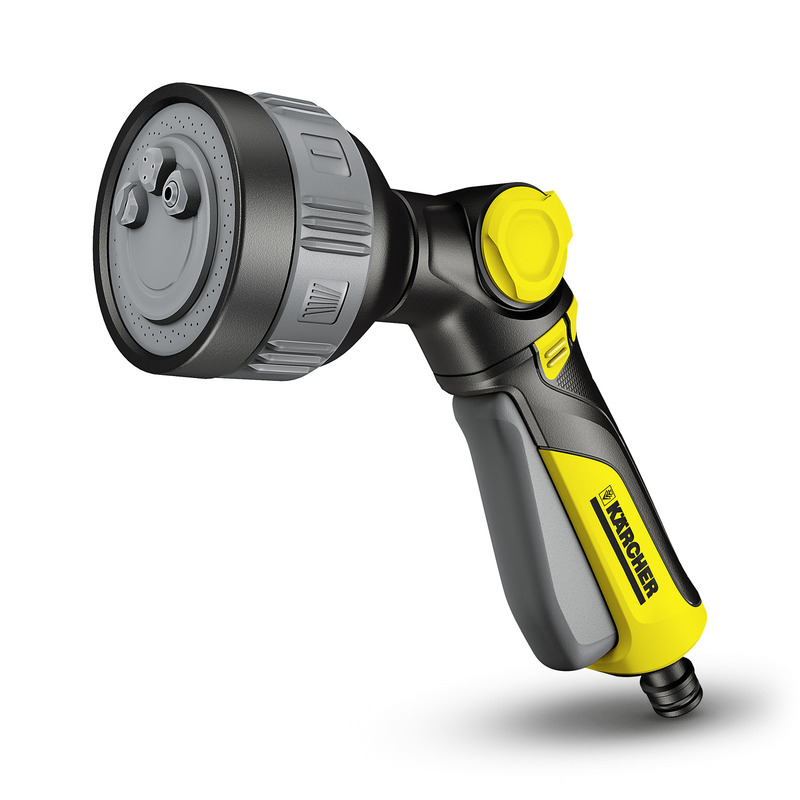 Multifunctional Spray Gun Plus with soft grip components and unique rotating handle for push and pull operation. 4 spray patterns and water flow regulation. Works with all other brands. 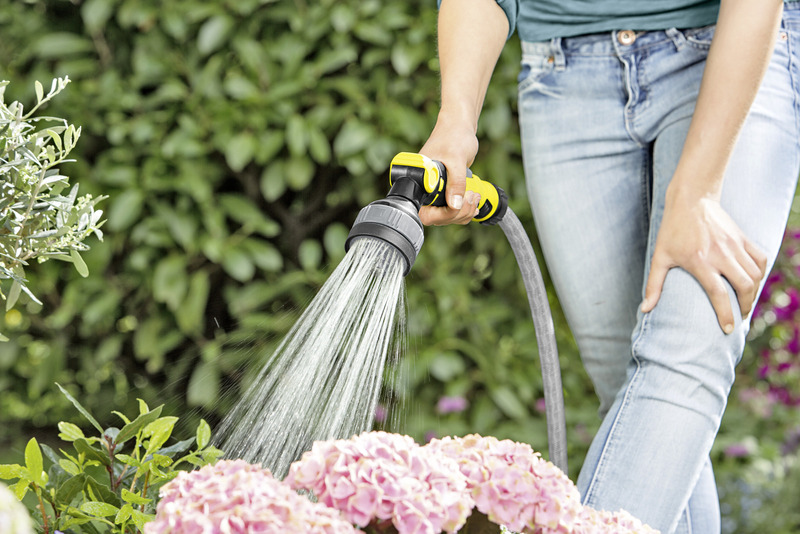 The Multifunctional Spray Gun Plus is perfect for all watering requirements around the garden. With 4 different spray patterns, the multifunctional spray gun can be used for watering seedlings with the fine mist, borders with the wide spray and cleaning garden tools with the power jet. The spray gun also includes the innovative dual seal technology, which allows easy switching from one spray pattern to another whilst also being drip free, meaning no water is lost. The new range of Plus and Premium Spray Guns also include the innovative rotating trigger handle. The unique handle allows the user to tailor the watering gun to suit their needs, from either a push or pull operation, ideal for anyone with dexterity issues. All Kärcher watering products are compatible with all other watering brands. Multifunctional Spray Gun Plus is rated 1.0 out of 5 by 2. Rated 1 out of 5 by Oxford Jack from Breaks easily I have now bought three of these in 18 months - they are very easy to use (though the water pressure seems lower than with a simpler head), but if you drop one on the floor (or your toddler does...) the head pops off. It looks like it is glued on. Can't find the receipt this time, so have gone back to another brand. Rated 1 out of 5 by ExKarcherFan from Dont buy this - it wil fall apart after 2 months! Being a fan of Karcher, I thought that this would be hard wearing as well as performing the function perfectly. I was wrong, how disappointing. I was merrily watering the garden one evening and the head (just above the trigger) popped off. I can't find the receipt hence can't prove I bought it, so in the bin it goes.